The American people have been experiencing a significant level of confusion regarding the purpose of civil government. Perhaps the prevailing sentiment of the population is that the core purpose of government is to collect money from citizens (via the IRS) so that elected politicians can make decisions regarding the distribution and dispersal of those funds. This serious misconception has led to a plethora of errors and harmful societal circumstances: a bloated, insatiable federal government that is in the throes of unprecedented, debilitating debt, a corresponding failure of elected officials to focus on their true purpose, a host of citizens who think the government exists to redistribute monetary assistance to them, and the list goes on. Meanwhile, the central purpose of government—the very reason the Founders established a federal government—is being neglected to the extent that citizens are encountering increasing danger to their lives. Perhaps even more tragic, the very government intended to be “of the people, by the people, and for the people” has assumed an adversarial role in which it persecutes those who hesitate to go along with its oppressive socialistic, anti-Christian, “politically correct” agenda. 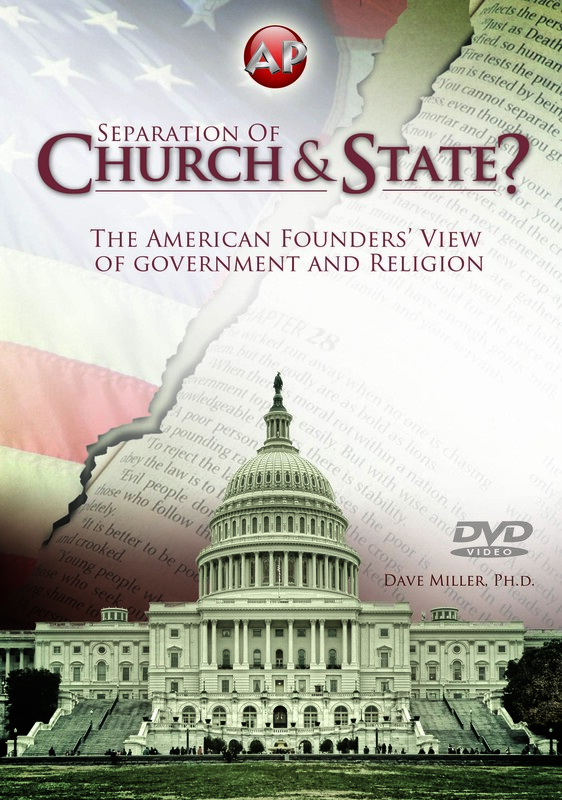 What’s more, many Americans have been indoctrinated in the public school system with the idea that “separation of church and state” is true, that the government should have nothing to do with religion—except to suppress it in government, school, and public life.1 This indoctrination is so thorough and pervasive that few consider the fact that God has expressed His view on the subject. Indeed, the sole source of infallibly correct thinking—the Bible—addresses these concerns, articulating very precisely the divine purpose of civil government. What does the inspired Word of God say regarding the purpose of human government? For rulers are not a terror to good works, but to evil. Do you want to be unafraid of the authority? Do what is good, and you will have praise from the same. For he is God’s minister to you for good. But if you do evil, be afraid; for he does not bear the sword in vain; for he is God’s minister, an avenger to execute wrath on him who practices evil (Romans 13:3-4, emp. added). Therefore submit yourselves to every ordinance of man for the Lord’s sake, whether to the king as supreme, or to governors, as to those who are sent by him for the punishment of evildoers and for the praise of those who do good (1 Peter 2:13-14, emp. added). Therefore I exhort first of all that supplications, prayers, intercessions, and giving of thanks be made for all men, for kings and all who are in authority, that we may lead a quiet and peaceable life in all godliness and reverence (1 Timothy 2:1-2, emp. added). And when he was called upon, Tertullus began his accusation, saying: “Seeing that through you we enjoy great peace, and prosperity is being brought to this nation by your foresight, we accept it always and in all places, most noble Felix, with all thankfulness” (Acts 24:2-3, emp. added). Observe: through the civil magistrate, i.e., the government, “we enjoy great peace, and prosperity,” i.e., we are protected from those who would disrupt the peace, enabling us freely to exercise our right to pursue our vocations and the prosperity such brings. The government does not guarantee, let alone provide, prosperity; it simply ensures a peaceful atmosphere in which citizens can pursue their vocations and earn their living unhampered by thugs, thieves, and other criminals. Why should we pray for the government? 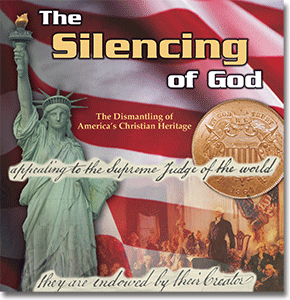 So that our lives might be “quiet and peaceable”—the objective and purpose of the government as intended by God. But what is the purpose of having a peaceful, undisturbed, unmolested life? So that we might live life “in all godliness and reverence.” God wants people to make wise, spiritual decisions as they live their lives in anticipation of eternity. That is their purpose for existence (Ecclesiastes 12:13). But whether they do or don’t, civil government is divinely designed to create an environment where citizens are not molested by internal or external assailants. The Founding Fathers, en masse, believed that the role of government was to protect its citizens. Jay insightfully observed that God instituted human government in order to enact a restraining influence on the propensity of human beings to harm each other. Alexander Hamilton was another prominent Founder, serving as an artillery Captain and Lieutenant-Colonel/Aide-de-camp to General Washington in the Revolutionary War. 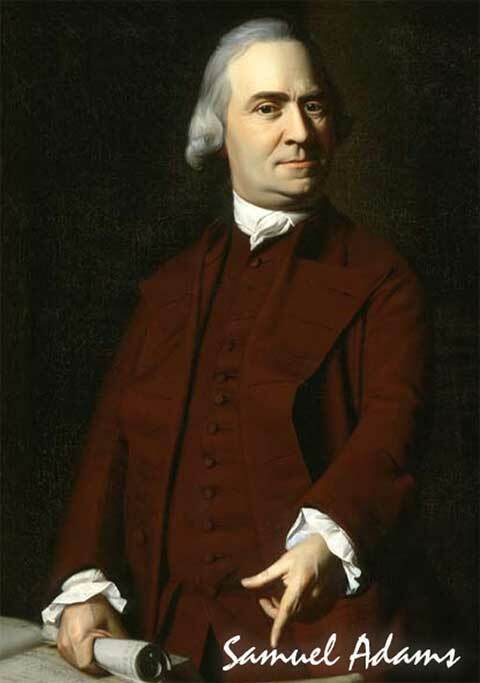 He was a member of the Continental Congress, a signer of the U.S. Constitution, co-author of the Federalist Papers, and Secretary of the Treasury under President Washington. In The Federalist, No. 15, dated December 1, 1787, Hamilton asked: “Why has government been instituted at all? Because the passions of men will not conform to the dictates of reason and justice without constraint.”12 Government is intended to constrain lawbreakers. 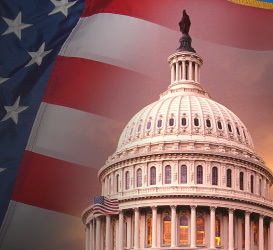 It’s as if rank and file Americans at the inception of the nation were widely educated in the principles of government and were attuned to the essentiality of government fulfilling its God-assigned responsibilities. Make no mistake: the freedom which they believed was endangered by the usurpations of the British government was not the 1960s “do your own thing” “freedom” which promoted the overthrow of the prevailing social mores in America. Far from it. They would have viewed such “freedom” to be licentiousness and immoral. Rather, they envisioned the freedom that they considered inherent in the creation of human beings by God—the unalienable right to live on the Earth in order to make one’s own choices in anticipation of eternity. It is bad enough that the government has ventured into illicit areas of activity. But, in the meantime, it has neglected, if not forsaken, its central purpose of providing adequate security for its law-abiding citizens. Is it coincidental that prisons are full while the government wages war on religious expression? Ask yourself these questions: Do I feel safer or less safe than at any other time in my life? Do I feel that my life and my property (i.e., home and possessions) are more secure or less secure? In my attempt to live a peaceful, serene, undisturbed lifestyle, do I feel the government is a friend and ally, or is it hostile and part of the problem? The time has come for the nation to return to its moorings. The time has come for a massive spiritual and moral awakening, lest God say to America what He said to Israel of old: “‘Shall I not punish them for these things?’ says the LORD. ‘And shall I not avenge Myself on such a nation as this?’” (Jeremiah 5:9,29; 9:9). 1 See the DVD Separation of Church and State? 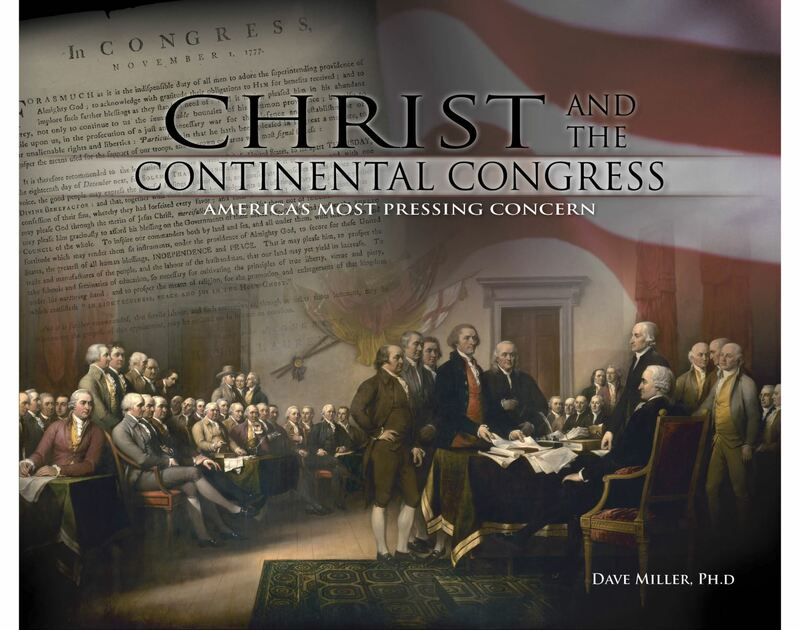 available at: http://apologeticspress.org/store/Product.aspx?pid=106. 2 For a discussion of the crucial principle of authority, see Dave Miller (2012), Surrendering to His Lordship (Montgomery, AL: Apologetics Press). 3 Guy N. Woods (1962), A Commentary on the New Testament Epistles of Peter, John, and Jude (Nashville, TN: Gospel Advocate), p. 72. 4 John Locke (1821), Two Treatises of Government (London: Whitmore & Fenn), Book II, Chapter IX, p. 295. 5 Thomas Jefferson noted that the standing sentiment of American lawyers was that “Blackstone is to us what the Alcoran is to the Mahometans”—“Thomas Jefferson to John Tyler, May 26, 1810,” The Thomas Jefferson Papers at the Library of Congress,” http://hdl.loc.gov/loc.mss/mtj.mtjbib020310. 6 Sir William Blackstone (1765), Commentaries on the Laws of England (Oxford: Clarendon Press), Book I, Chapter I, 1:120, emp. added. 7 Samuel Cooke (1770), The True Principles of Civil Government, A Sermon Preached at Cambridge, in the Audience of His Honor Thomas Hutchinson, Esq; Lieutenant-Governor and Commander in Chief; The Honorable His Majesty’s Council, and the Honorable House of Representatives, of the Province of the Massachusetts-Bay in New-England, May 30th, 1770 (Boston, MA: Edes and Gill), p. 159, http://quod.lib.umich.edu/e/evans/N09097.0001.001?rgn=main;view=fulltext. 8 Samuel Langdon (1775), Government Corrupted by Vice, and Recovered by Righteousness (Watertown, MA: Benjamin Edes), p. 23, italics in orig., emp. added. 9 Continental Congress (1775), A Declaration by the Representatives of the United Colonies of North America, Now Met in General Congress at Philadelphia, Setting Forth the Causes and Necessity of Their Taking Up Arms, Journals of the Continental Congress, 1774-1789, 2:140,156, emp. added, http://goo.gl/OrJ371. 11 William Jay (1833), The Life of John Jay (New York: J.&J. Harper), 2:393-394, emp. added. 12 Alexander Hamilton, John Jay, and James Madison (1911), The Federalist or the New Constitution (New York: E.P. Dutton), pp. 71-72, emp. added. 13 Samuel West (1776), A Sermon Preached Before the Honorable Council, and the Honorable House of Representatives, of the Colony of the Massachusetts-Bay, in New-England. May 29, 1776. Being the Anniversary for the Election of the Honorable Council for the Colony (Boston, MA: John Gill), pp. 13-14, emp. added. 14 Ritchie and Cook, eds. (1830), Proceedings and Debates of the Virginia State Convention of 1829-30 (Richmond, VA: Samuel Shepherd), p. 537, emp. added. 15 Thomas Jefferson (1801), “First Inaugural Address,” The Avalon Project at Yale Law School, emp. added, http://avalon.law.yale.edu/19th_century/jefinau1.asp. 16 William Wells (1866), The Life and Public Services of Samuel Adams (Boston, MA: Little, Brown, & Co.), 1:504, emp. added. 17 The Boston-Gazette, and Country Journal (1768), No. 716, Monday, December 19, 1768, p. 1. 18 Ibid., italics in orig., emp. added. 19 The Boston-Gazette, and Country Journal (1768), No. 679, Monday, April 4, p. 1, emp. added. 20 William Lincoln, ed. (1838), The Journals of each Provincial Congress of Massachusetts in 1774 and 1775, and of the Committee of Safety (Boston, MA: Dutton and Wentworth), p. 17. 21 Thomas Jefferson (1853), “A Bill for Proportioning Crimes and Punishments,” in The Writings of Thomas Jefferson, ed. H.A. Washington (Washington, D.C.: Taylor & Maury), 1:147, emp. added. 22 John Adams (1805), Discourses on Davila (Boston, MA: Russell and Cutler), p. 92. 23 Constitution of the Commonwealth of Massachusetts, “Preamble,” emp. added, https://malegislature.gov/laws/constitution. 24 Thomas Paine (1795), The Rights of Man for the Use and Benefit of All Mankind (London: Daniel Isaac Eaton), p. 97, emp. added. 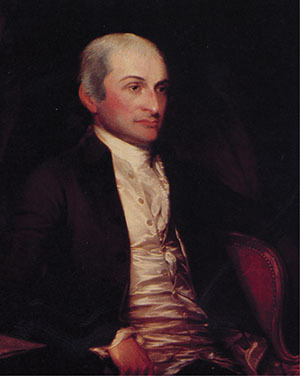 25 Dan Foster (1775), A Short Essay on Civil Government (Hartford, CT: Ebenezer Watson), pp. 14,27, emp. added. 26 Charles Turner (1773), A Sermon Preached Before His Excellency Thomas Hutchinson, Esq; Governor: The Honorable His Majesty’s Council, and the Honorable House of Representatives, of the Province of the Massachusetts-Bay in New-England, May 26th. 1773 (Boston, MA: Richard Draper), pp. 10-11, italics in orig., emp. added. 27 Declaration of Independence (1776), Library of Congress, emp. added, http://hdl.loc.gov/loc.rbc/pe.76546. 28 See Dave Miller (2016), “Should Christians Favor Accepting Syrian Refugees?” Reason & Revelation, 36:45-47. 29 Writing ca. 1817, James Madison noted: “The people of the U. S. owe their Independence & their liberty, to the wisdom of descrying in the minute tax of 3 pence on tea, the magnitude of the evil comprized [sic] in the precedent. Let them exert the same wisdom, in watching against every evil lurking under plausible disguises, and growing up from small beginnings.” If the Founders were outraged over the violation of the principle underlying a three cent tax, they would be incredulous at the extent to which Americans tolerate oppressive governmental taxation without their knowledge—let alone consent (e.g., the tax on cell phone bills that funds free phone giveaways). See “Detached Memoranda,” The Founders’ Constitution, ed. Philip Kurland and Ralph Lerner (Chicago, IL: The University of Chicago Press), Volume 5, Amendment I (Religion), Document 64, http://press-pubs.uchicago.edu/founders/documents/amendI_religions64.html.